Alarming Rise of Malnutrition and Food Insecurity in Western Chad | YALNA, "Nos enfants"
Mao – Bagasola – May 12th, 2015 – It is market day in the little town of Bagasola, alongside Lake Chad. Since early morning, under the shade of wooden and reed shacks, merchants, artisans and local traders are rushing around in what used to be a hub trade in the region. 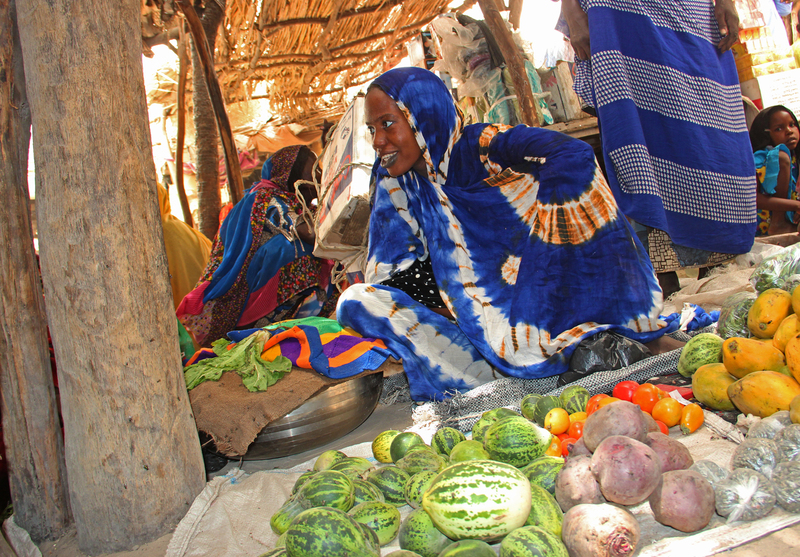 Zara Gayi is eight-months pregnant, she is only twenty-five and has four children.She is selling mangos, tomatoes and vegetables in the market of Bagasola, and can make 600 Nairas profit on a good day (2.50€). “My husband used to ride boats to Nigeria. Since the border closure months ago, he cannot work anymore. In the past, he could earn one hundred thousand Nairas a month (450€). Now he is at home, feeling powerless and depressed” she said. Since January 2015, an estimated 18,000 Nigerian refugees and 8,500 Chadian returnees fled violence linked to Boko Haram in Northeastern Nigeria into Chad. In Bagasola, this influx of population is an additional burden. The Lake Region depends on commerce with Nigeria, farming and fishing on the lake for subsistence. With the border closed and insecurity in Nigeria, markets for cattle and farming products are shut down. Khadidja Adoum is 24, her face and silhouette witness the hardship she is facing. Poor rainfalls, bad harvest and a chronic food insecurity are the daily realities of the communities of her village, Loumba Arameda in the Kanem Region. Married when she was fifteen, she is hardly raising her four children: “We have no source of income and we don’t own any cattle or land.My husband only has an old cart, he is carrying bricks or any other goods when trucks are passing by the market and makes little money.After the rainy season, we farm along the wadis (Arabic term for a valley of a stream usually dry except during the rainy season) but last year we harvest only one hundred kilo of millet covering only three months of our needs. At the moment, we cannot afford to buy much in the market, cereals are too expensive” she said. A recent survey conducted by WFP highlighted alarming food insecurity in Kanem, Lake and Barh El Gazal Regions. The number of food insecure people have increased from 339,000 to 552,000 in six months. With the border closed and insecurity in Nigeria, markets for cattle and agriculture products are shut down. The survey has also shown increased prices and high levels of household debt due to poor rainfalls and bad harvest in 2014. Two of Khadidja’s children were admitted to the in-patient facility of the Mondo health center for the fourth time this year. They suffer from severe acute malnutrition with medical complications. “I am trying to feed them once a day, but it is not enough. A few years ago, I lost two children, one has died in my arms on the way to the health center. I have to walk two hours to come here, when I arrived, it was too late“ she said, bitter. 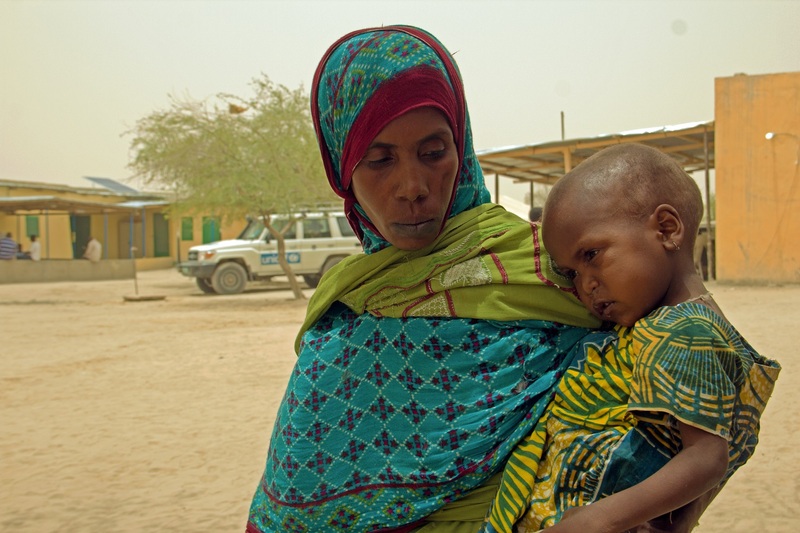 With ECHO’s support, UNICEF Chad targets to treat 150 000 children suffering from malnutrition in 2015. Thanks to this contribution, UNICEF will continue to improve the supply chain of Ready-to-Use Therapeutic Food, to provide essential drugs and to build up districts’ capacities in the treatment of malnutrition.